A tomatillo is similar to certain other plants like the ground cherries, pepinos, garden huckleberry, pimentos, tamarios, mandrake, belladonna and is known to come from plant life referred to as nightshade plants, which need to be avoided by certain individuals. A reason to avoid these plant types is because they feature a form of self-protection to stop potential predators like the insect feeding on them. Nightshade plants use a highly toxic substance to deter the attacks which is certain to be harmful to the small insects, while also being mildly irritating to some humans. 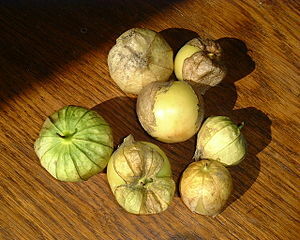 An allergic reaction to these types of plants for the humans is called a tomatillo allergy. If you are someone that is likely to experience an allergic reaction of this type plant, it will certainly help if you have a complete appreciation of the plants and appearance so that you know which ones to avoid in the future. A nightshade plant is likely to produce one of four alkaloids (pyrrolizidine alkaloids, indole alkaloids, steroid alkaloids, tropane alkaloids) which are the chemical compounds. For those with an allergy to any of these compounds the tell-tale symptoms are likely to include issues relating to increased calcium in soft tissue, loss of calcium in bones, nervous system or joint disorders, and digestive problems. The poisons produced by the plants in the self-protection stage to ward off the insects might be consumed by us when eating the plants or related fruits. Since we are much more likely to have a higher tolerance to the poisons than the insects the impact to our health isn’t likely to be so serious. However, a tomatillo allergy is quite serious to some people and it will be necessary to provide the require treatment as soon as possible. You will certainly find that a great number of people are allergic to certain food sources and go on to experience some very undesirable reactions. A suffer of the tomatillo allergy is certain to experience symptoms like difficulty in breathing, skin rashes, hives, diarrhea, and swelling and itching in the mouth area. If you find that you are starting to notice any of these symptoms after consuming the nightshade plants, you might want to make a mental note and make certain to avoid these types of plants and vegetables in the future. A true allergic reaction of tomatillo is classed as very rare so there is only a small chance that you could find yourself suffering from a tomatillo allergy.